XM Forex Review: Is it Reliable? Read this before making 1st deposit! 0.0 spreads as low a 0 pips. Finding the right broker is important, along with understanding if they support the platform you wish to use. XM is a company that offers traders the ability to trade a variety of markets using their products and compatible platforms. With over 1,500,000 clients since being founded in 2009, this company has become a mainstay in the market. Headquartered in London, the company supports over 30 languages and offers services for traders of all levels. This article will be an overview of XM and the various services offered, allowing you to see if this is the right fit for you. Why Should I Choose XM? Reliability with a company is important, especially since it involves your trading and money. Test the brand is one way to ensure that it is the right fit for you, but there are other data points you can review to see if the company has a level of reliability. First, you can view their about page and see they have a section on being fair, trustworthy and dependable. The company states that, “all client enjoy the same fair and ethical trading conditions regardless of their net capital worth, the size of their investment, or their account type”. This is a positive sign for everyone because not all traders can afford to deposit large sums of money to obtain preferable treatment. Another page you can visit to check for reliability are the awards the company has earned over the years. This page has the various awards spanning different criteria, which can allow you see what the company is proficient in. The last item is to see how responsive their customer service is. These are the important aspects to look at and it appears XM has much to offer their clients. 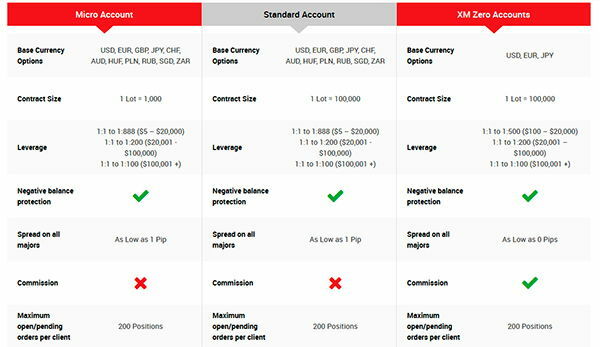 XM offers their clients three different trading account types, giving you the ability to find what fits your needs best. First is the micro account, which offers you seven base currency options including USD, AUD and CHF. The contract sizing is 1 lot equals 1,000 and there are several different leverage options. A benefit to this account is there is negative balance protection and the spread on all major pairs can be as low as 1 pip. Other benefits include trading bonuses and heading. Next on their account list is the standard account, which offers the same base currency options as the micro account, but the contract size is increase to 1 lot equaling 100,000. Same with the micro account there are leverage options and negative balance protection. The minimum trade volume is .01 lots and the maximum open or pending orders is 200 positions. For those with small trading balances, the minimum deposits for this account and micro account is $5. Lastly, there is the XM zero account, which starts with the base currency option of only the USD or EUR. Contract size is the same as the standard account with 1 lot equaling 100,000 and a selection of leverage options. Spreads however can be as low as 0 pips, but there are no trading bonuses. Hedging is allowed and the minimum for this account is $100. With the higher minimum deposit it may not be suitable for all traders. When selecting a broker or company to work with, it is important to understand the various platforms they are compatible with. Luckily, XM works with the most popular platforms MetaTrader 4 and MetaTrader 5. The benefits to using MetaTrade 4 are that it is both available for Mac and PC. If you visit the platform tab of the website, you can see a drop down of the various different ways you can utilize the platforms. XM MT4 features include spreads as low as 0 pips, 1 click trading, and 3 chart types. From the page, you can decide if you’d like to open a demo account or live account. Also available for both PC & Mac is the improved MetaTrader 5. While there are differences between the 2 platforms, each of them provide a reliable way to access and trade the markets. With MT5, there is a 100% Mac native application, built-in market analysis and trading with spreads as low as zero. Now, as technology has advanced and the markets have evolved, the ability to trade on the go is a must. The trading platforms work on both Apple and Android devices, giving you the ability to change your positions, as well as enter and exit trades. Openings a demo account not only gives you the chance to test the desktop version but also the mobile, seeing if it is the right fit for you. Choosing the right platform is important because not all traders are trying to achieve the same thing. Understanding your needs and requirements of the platform are important because you want to be efficient in your trading. For those of you looking into to MetaTrader 4, this is the predecessor of the newer MetaTrader 5. 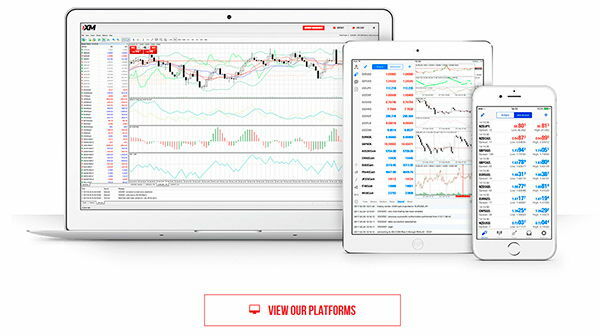 MT4 enables trading on currencies, CFD’s on stock indices, as well as CFD’s on gold and oil. 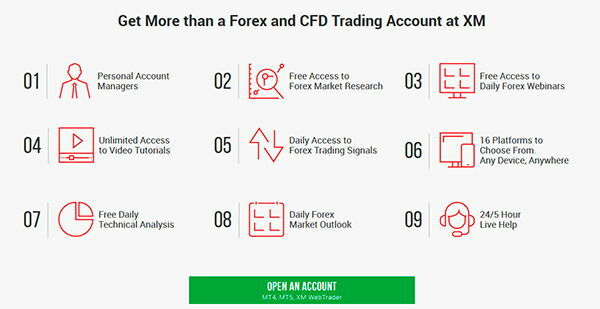 However, if you are looking to trade CFD’s on stocks you will have to utilize another platform, as MT4 isn’t compatible. No matter your account with XM, you can utilize the MT4 platform if you so choose. 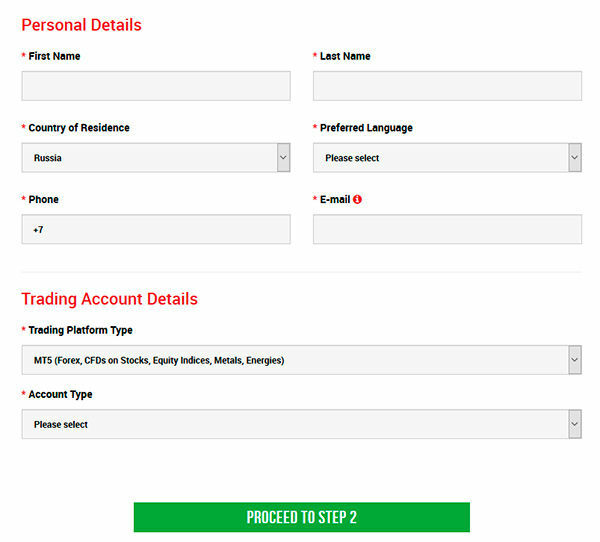 Moving on to MetaTrader 5, this platform gives you a wide range of instruments and allows for the trading of CFD’s for stocks. Once you log into MT5 you can also access the XM WebTrader. Same with MetaTrader 4 it is available across all three of the account types XM has to offer. With the main difference being the stock CFD’s, if you only want to trade Forex then you should be safe with either. Understanding the different trading instruments is important because nothing would be worse than opening an account and funding an account, only to find they don’t have what you need. XM has a wide variety of markets to trade and should be able to fit your needs. For those looking to trade the Forex market utilizing XM, there are over 55 currency pairs that cover major as well as exotics. The Forex market allows you to trade 24 hours a day, 5 days a week using the different platforms compatible with XM. There’s a complete list of information on their website, but XM certainly has a wide variety of Forex pairs to trade. If you are looking to gain exposure to the equities market, you can trade using CFD’s. The benefits to using XM include cost-effective and direct access to the global equities market, instant access, and the ability to speculate on the direction of the equity. Also, no extra fees apply. XM also gives you the ability to trade commodities, and this is beneficial because you can trade the commodity without actually owning the financial instrument from which the contract is based. 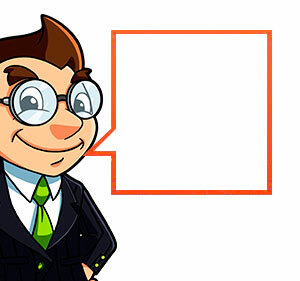 You have the same ability to speculate on where the market will go and there are no stock exchange fees. Also, you can short the market and benefit from falling prices. Another market covered with XM include the equity indices, which are a popular market for many to trade. With XM, it is a cost effective way to trade and you have direct access o the global equity markets. Same with the previous few, you can short the market and profit on a drawdown and there are no extra fees that apply. Indices are a popular market and it appears XM makes it easy to access. As the markets become volatile the precious metals space begins heating up. With XM, you can trade gold and silver with no-requotes. It can be an attractive investment beyond Forex and there are no extra trading fees. You can trade this on the 16 different platforms with the ability to go both short and long. Oil is a widely traded market and with XM you have access to that as well. Known as one of the most actively traded commodities in the world, you can generate income from this volatile market. There are no extra fees as well as no overnight financing on oil CFD’s. Also, there is the ability to trade on margin. Last but certainly not least is the widely popular cryptocurrency markets. You can trade these through XM 24 hours a day, 5 days a week with tight spreads. It is an attractive alternative to Forex and is available on the XM MT5 platform. To open an account, the process is simple. You can access the website and click on the top part of the site that says open an account. Before you open a live account you likely want to open a demo account to ensure this is the right fit for you. Not only that, but opening a demo account with XM will allow you the ability to test strategies without risking your hard earned trading capital. The trading conditions include first the spreads. Some of the conditions for spreads with XM include spreads as low as 0 pips, which can put you into profit quicker and save you money. There are over one hundred financial instruments and fractional pip processing. Lastly, clients are given the best execution policy. For those seeking to use margin, there is 1:1 margin up to 500:1, allowing for the right leverage to fit your needs. There is also negative balance protection, rea-time risk exposure monitoring and not changes in margin overnight. Lastly, the trading hours are 24 hours a day through a desktop or mobile device, 24 hour customer support and real time market information. The funding and withdraw process seems to be fairly straightforward with the usual methods in place. Bankcard and local bank transfer are among the options. On average, it seems client can expect funds to take 3-5 business days before hitting your bank account when you select withdraw. Overall, this platform appears to have many of the features and products traders are looking for. XM Forex is certainly worth the time opening a demo account and exploring the possibilities. Have you had experience with this platform? Leave a comment below and let others see your opinion on the company. Whether it is good or bad, on sort of criticism will help other identify if this is the right fit for them.